Whether you are planning to resurface your driveway or add a new one, the choice of paving material will have a lasting effect. You may be considering asphalt, as it is one of the most popular types of driveway material. Durable and relatively inexpensive, this form of paving is ideal for some homes but poorly suited for others. But how can you tell if asphalt is the best material for you, and how does the price vary between paving, resealing, and other expenses during your driveway’s lifetime? Asphalt may or may not be highly cost effective, depending upon a number of factors. These factors will often dictate whether asphalt is the best material for your driveway. There are many qualities to asphalt which should be considered when preparing to pave your driveway, and the relative longevity means that this surfacing choice is one that will remain for decades. Asphalt is considered the primary choice in colder temperatures due to its resistance to salt and other de-icing chemicals, although the tar softens and sometimes even melts in more tropical climates. Periodic maintenance is required, although the process is simple enough for the average homeowner to accomplish by themselves. The most important part of your new driveway is the sub grade. Having a solid sub grade of coarse asphalt or crushed stone will help prevent your driveway from cracking or settling. You will also need to reseal the driveway once every three to five years, depending upon the climate. 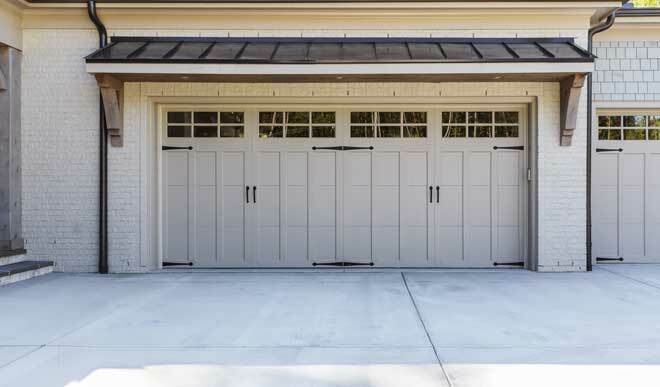 Harsher climates will require you to seal more often, although less sealer is needed the more often it needs to be applied. Dirt – The most basic form of surfacing, dirt is prone to erosion and weeds. Precipitation turns the dirt to mud, which in turn may prevent traction and force you to wash your car frequently. Gravel – Gravel is a loose surfacing which is less prone to erosion. However, weeds are still prevalent and the tiny stones are easily kicked up by your car’s tires, causing damage to the car over time. Brick – Fairly sturdy and easily maintained, brick is expensive and prone to ice buildup. Unlike other traditional driveway materials, concrete and asphalt are very similar in their popularity and advantages. However, there are several differences which may affect which will work best for you. Asphalt takes several hours to cure, while concrete may take several days. 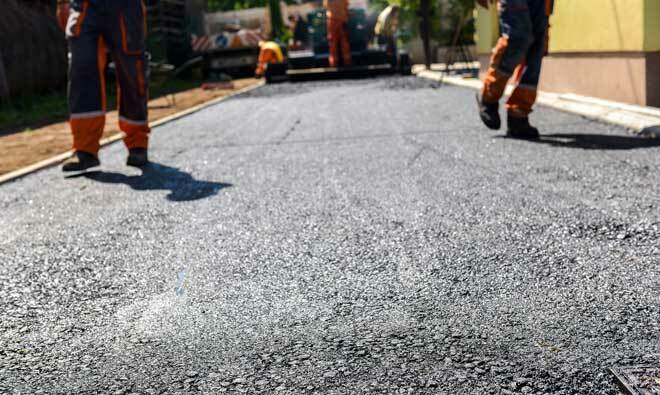 Asphalt’s main ingredient is tar, which is less durable and softer than the cement in concrete. Concrete may be stamped, etched, or engraved. It is also easier to stain or tint for color than asphalt. Asphalt driveways last 30 years if resealed every three to five years, while concrete driveways last more than 50 years without needing to be sealed. Asphalt costs $2.50 to $4.00 per square foot, whereas concrete costs $4 to $6 per square foot. Concrete is better suited for warmer climates and may crack in freezing temperatures. Conversely, asphalt resists cold but softens in high heat. Unlike concrete, asphalt is easy to repair and reseal. Concrete is prone to stains, requiring an occasional degreasing. Asphalt is easy to resurface and may be done as a simple DIY project, unlike concrete. You will encounter various costs during the course of your driveway’s life. This includes the cost of the initial paving, resealing, and surfacing the driveway. As costs may vary depending upon your location, the numbers included are general estimates. Note that choosing to stamp or stain the asphalt may significantly affect these costs. An aggregate of sand and stone is thoroughly mixed, usually off-site. This step may occur any time before step four. The contractor digs four to six inches down where the new driveway will be located (this includes removing any prior surface). Loose soil and clay must be removed in order to prevent settling and drainage issues. A sub base is installed. Depending on how much weight the driveway will be holding, this sub base may consist of gravel or crushed stone. Coarse asphalt is used instead for heavy load bearing, such as boats or RVs. This sub base is then graded. Liquid asphalt cement is added to the aggregate and immediately delivered to your home. In some cases, the contractor may prepare the asphalt on-site. The asphalt mixture must still be hot when applied for proper curing. The asphalt is applied in two layers, the first being three to four inches deep, and the second being between one and two inches. Any stamping is performed once the driveway is fully graded. Your new driveway begins to cure over the course of several hours and will be ready for light use within a day of paving. After several days, your driveway can handle heavier traffic without the risk of scuff marks. Full curing takes six months, during which time you should avoid sealing. More often a DIY project than contracted, resealing is a means to extend the life of your driveway. This simple maintenance process should be performed every three to five years. The harsher your local weather conditions are, the more frequently you need to reseal. The cost difference for frequency is somewhat negated by the fact that you should use less sealer for more frequent applications to prevent peeling. A five gallon bucket of driveway sealer costing between $15 and $45, a course-bristled broom, and a few hours are generally all that is needed to maintain your driveway. You may also choose to use a cold patch or asphalt crack sealer before applying the driveway sealer to fill any cracks. Doing this will require an investment of less than $100 every three to five years. Contractors are willing to reseal the driveway for you, although the cost will be higher and may vary from one contractor to the next. In the event you are considering a contractor to seal your driveway for you, there are numerous factors which go into the cost. Shop around for the best quote. Surfacing is a means to provide structural repair in the event your driveway has suffered from divots, cracks, or other damage. This process involves a contractor cleaning off the surface and chipping it to help the new layer stick. Then a new top layer of one and a half to three inches of fresh asphalt is added. Resurfacing is quick and fixes damage that might worsen if merely sealed. It is also far cheaper than replacing the driveway and generally costs between $1.50 and $2.50 per square foot, depending upon your location. The use of recycled asphalt is becoming increasingly popular as an environmentally-friendly alternative to fresh asphalt. Old asphalt paving is ground down to aggregate size and may then be dampened and compacted to create new surfaces at a much lower cost than using raw materials. The final product has a more grayish appearance and may be either one hundred percent recycled or a mix of recycled and fresh asphalt. The cost thus varies greatly depending on your choices or material as well as local prices. Aurora Paving offers an excellent online FAQ about asphalt driveways. Braen Stone provides a short guide with more information about recycled asphalt pavement. Local Masonry Quotes offers a free searchable directory of local asphalt resurfacing experts.